Jared Gianatasio is a Partner in the firm's Corporate practice focusing on derivatives and investment fund matters. Mr. Gianatasio has extensive experience representing market participants in the structuring and documentation of complex over-the-counter and exchange-traded derivatives transactions. 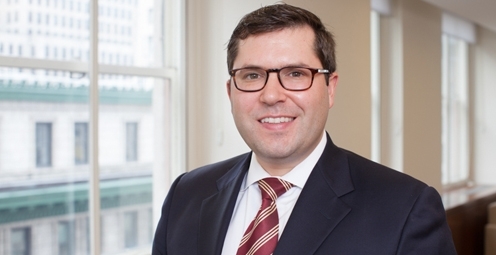 His practice also includes providing market participants with advice on a number of derivatives regulatory and risk management issues, including regulatory and compliance requirements under the Dodd-Frank Act. He has extensive experience developing, drafting and negotiating highly structured derivative and repurchase agreements, master trading agreements/confirmations and other account documentation for a wide variety of derivative and other financial products, including fixed income and credit derivatives, total return swaps, equity derivatives, prime brokerage/margin lending, and other cash and synthetic trading documentation. Mr. Gianatasio also advises investment managers on a variety of CFTC and SEC regulatory matters.